Favorite Chicago Residencesubmitted by Autumn L. - Jan 31, 2019 |Recommended: YesI have lived in 3 different units in Chicago and Mondial has by far been my favorite. The location is great, the building is always well kept, the other residents are friendly and warm and the units and rooftop are among the best in the city.  Mondial Riverwest is the best place to live in Chicagosubmitted by Michelle W. - Dec 11, 2018 |Recommended: YesI definitely recommend Mondial Riverwest. It is a beautiful property with fantastic amenities. The entire staff makes me feel special, safe and just like family. Thank you to Nathan, Pete, Kelley, Brandon, Layla and Kristyn for making our living experience so wonderful. Comfortable. Quiet. Home. submitted by Dana J. - Jul 03, 2018 |Recommended: YesGreat neighborhood. Dog friendly. response from property - Jul 06, 2018 Thank you for the 5 stars Dana! Very appreciated! Layla M.
Best kept secret for high rise living in River Westsubmitted by Steven B. - Jul 01, 2018 |Recommended: YesIf living space and location matters most to you, then you cannot beat the overall experience of living in this quiet, friendly building. What the building lacks in general shared amenities is more than compensated by the large spacious units and private balconies not to mention the unrivaled city views . It's certainly a deterrent that there is no swimming pool, movie theater or luxury amenities, but you also aren't incurring those expenses in your monthly rent. The Gym space equipment is good, the neighbors are notably friendly, and the living space tall ceilings natural light city views are truly top notch. I don't hesitate to recommend this building to any family or friends. response from property - Jul 02, 2018 Steve, Thank you so much for this wonderful review! We love having you here and are thrilled that you feel confident in referring Mondial to those close to you! That is one of the best things we can hear from a resident. Layla M.
response from property - Jun 27, 2018 Hi Christy, Thank you so much for the wonderful review! We love having you here just as much! Layla M.
response from property - Apr 24, 2018 Kristin, Thank you so much for the positive words! I am happy that you enjoyed living at Mondial and we hope to see you here again in the future! Layla M.
response from property - Apr 20, 2018 Rebecca, Thank you so much for the compliments! I am happy to hear you feel that way. Please let us know if you need anything! Layla M.
Mondial Apartments is Greatsubmitted by John G. - Mar 13, 2018 |Recommended: YesMondial apartments is a well-maintained facility with friendly, helpful staff. Lived here for 3 years and I love it.submitted by Ray P. - Feb 27, 2018 |Recommended: YesQuiet and tucked away from crowded areas, but walking distance to almost anything. One of the best views of the city skyline from the roof. I love it heresubmitted by Juan H. - Jan 03, 2018 |Recommended: Yesthis place is great. awesome location. great units. response from property - Jan 04, 2018 Wow! Thank you Juan for the wonderful 5-star review! I love seeing this and we are so happy you are here as well! Layla M.
Attractive, modern building in a great location.submitted by Michael M. - Jan 02, 2018 |Recommended: YesNice, spacious building. Great location. Very nice amenities. Friendly and helpful staff. response from property - Jan 03, 2018 Wow!! Thank you Michael for the great review! We love knowing that you are happy here and please do not ever hesitate to reach out if you need anything! -Layla M.
Love Living Heresubmitted by Sage M. - Dec 07, 2017 |Recommended: YesCouldnt have chosen a better community and apartment building to live in as my first home since moving to the US. response from property - Dec 08, 2017 Hi Sage, Thank you so much for the kind words! We are just as happy to have you here at Mondial! Layla M.
Great views, quiet neighborhoodsubmitted by Benjamin B. - Sep 15, 2017 |Recommended: YesGood location, close to all parts of the city. The building is clean and functional. Cool rooftop for summer season. Goodsubmitted by Jayme U. - May 01, 2017 |Recommended: YesGood - updated apartments, good amenities.